--> which option would you recommand ? 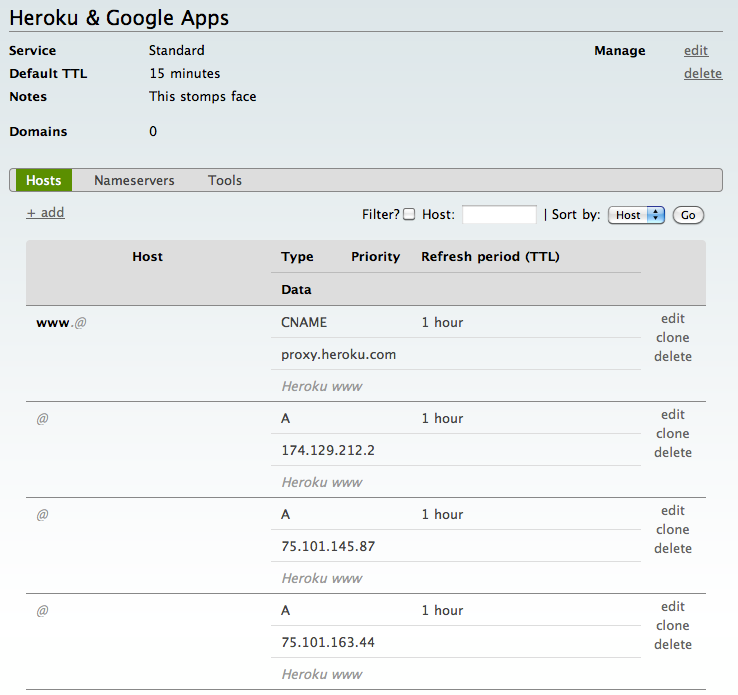 ==> it works fine for the web (my_domain requests are redirected to my heroku app) but I don't receive incoming emails in my Gandi mailbox, as it was the case before changing the DNS settings. So, I guessed I'm mixing up things, and I'm really confused ... As you may understand, I'm a bit of a newbie in this kind of stuff, so any help/clarification would be appreciated ! Or you could just use an external mail provider like Google. Create a Goolge Apps-account. 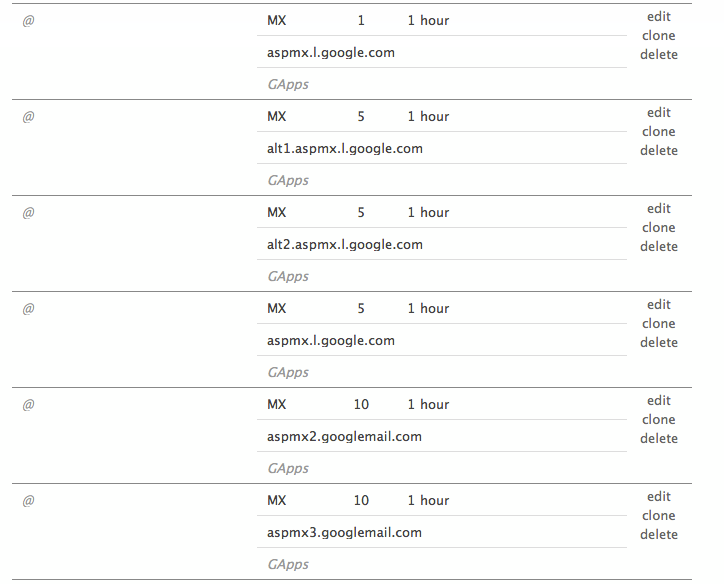 After that, configure your application to use the Gmail-servers for sending/receiving mail. @ 28800 IN MX 1 ASPMX.L.GOOGLE.COM. @ 28800 IN MX 3 ALT2.ASPMX.L.GOOGLE.COM. @ 28800 IN MX 5 ASPMX2.GOOGLEMAIL.COM. @ 28800 IN MX 5 ASPMX4.GOOGLEMAIL.COM. @ 28800 IN MX 5 ASPMX5.GOOGLEMAIL.COM. Not the answer you're looking for? Browse other questions tagged domain-name-system email mx-record heroku or ask your own question. Do I need an MX record for email forwarding?